Winter and stew are two words that go together in our house. As the weather gets colder and the days become greyer the need for comfort food rises. Root vegetables are at their best now and we are busy digging swede and turnip from our Hitchin allotment. 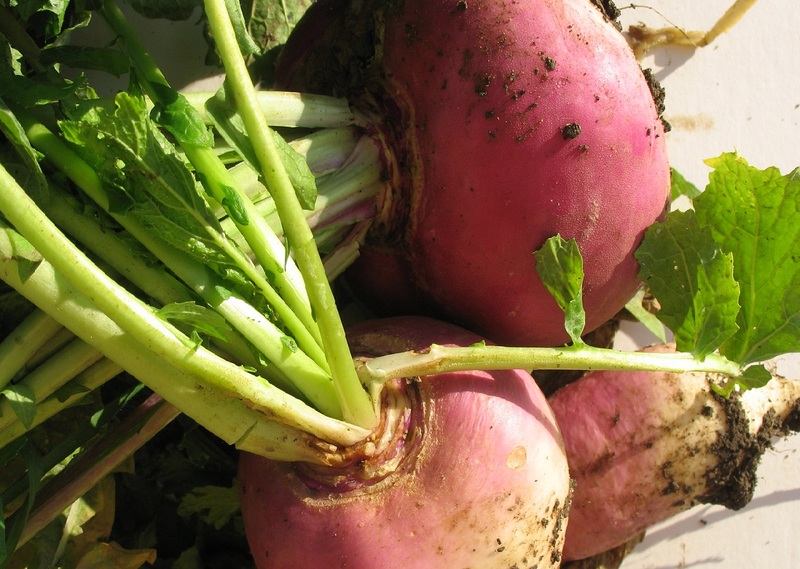 Turnip is an easy vegetable to grow and will reward you in the winter when there is little growing in the ground. You can sow the seeds from May – July directly into the soil and they will mature in 6 – 10 weeks. If you sow a small row every three or four weeks this will enable you to crop the turnip throughout the growing season. Thin the seedlings when they are big enough to handle and protect them from the pigeons. Water them well to avoid becoming woody and then dig and enjoy. I use them in all sorts of recipes including stews, vegetable currys and Delia’s classic ‘Roasted Roots’ dish. In fact we had that last weekend with roasted lamb and it was delicious! If you want to look at Delias recipe click here.